I first fell in love with Hardy Amies when I attended their super elegant SS11 presentation at Simpson's-in-the-Strand a few years ago. Since then, they haven't just grown into a prominent ready-to-wear menswear brand but they've become one of the best shows in town during the new London Collections: Men. 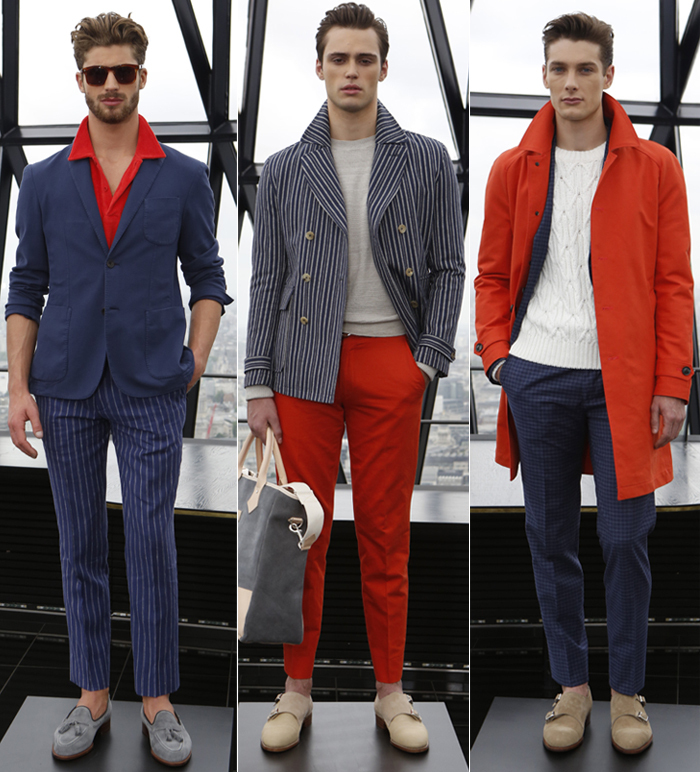 Their latest collection for Spring/Summer 2014 is my favourite yet and definitely one of the highlights of the season, and not just in London. 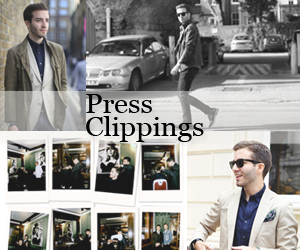 The collection notes describe the line as the "complete summer wardrobe for a modern London lifestyle". And very rightfully so. Unlike to many designers and brands, Amies really proposes a full wardrobe which perfectly mixes the two biggest influences of London style that have driven it through time – tailoring and street style. The 50's influence comes from Saul Bass, an American graphic designer known for his work in advertising (a real-life Don Draper) who also created posters for Hitchcock films such as Vertigo and The Shining and who still influences graphic design now. In come the graphic motifs by means of striped jackets, trousers and knitwear. The colour palette, which combines the house's signature French navy and bone grey with reds and oranges, the blocks of colour and the shapes also reference Bass. 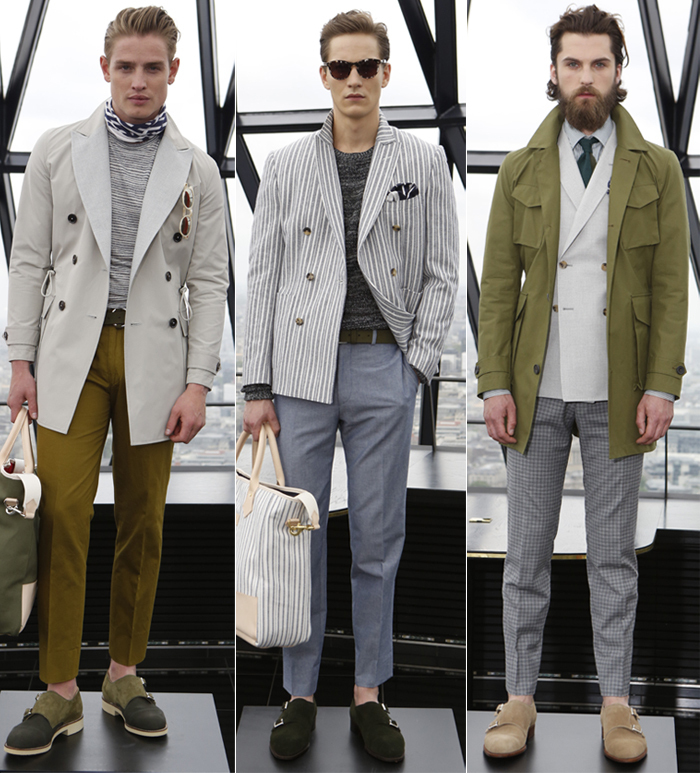 The accessories, which most are not able to match with a strong collection, are equally on point at Hardy Amies. Created in collaboration with British brands, the totes and holdalls are made by Chapman, the canvas based formal shoes by Grenson and the superb monk straps by Alfred Sargent – my favourites. Top top it all off, the brand chose the top of the iconic Gherkin building to present their collection. Now all we can do is carefully build our wish lists and rush (in an orderly manner) to number 14 Saville Row in six months to complete our wardrobes and be happy men.